Waddup Mike! 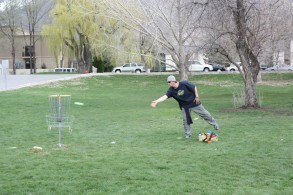 Fun hukking discs with you at the Creekside Open. You are a riot dude! Solitude was number 12 in the country... then you changed your F- to a B+ and now soli is #3!!! Thanks Mike. It was good to see you as well. What a great day and great company. That made me play well.